New York University Press, 9780814758373, 129pp. In 1931 Kurt G del published his fundamental paper, "On Formally Undecidable Propositions of Principia Mathematica and Related Systems." This revolutionary paper challenged certain basic assumptions underlying much research in mathematics and logic. G del received public recognition of his work in 1951 when he was awarded the first Albert Einstein Award for achievement in the natural sciences--perhaps the highest award of its kind in the United States. The award committee described his work in mathematical logic as "one of the greatest contributions to the sciences in recent times." However, few mathematicians of the time were equipped to understand the young scholar's complex proof. Ernest Nagel and James Newman provide a readable and accessible explanation to both scholars and non-specialists of the main ideas and broad implications of G del's discovery. It offers every educated person with a taste for logic and philosophy the chance to understand a previously difficult and inaccessible subject. 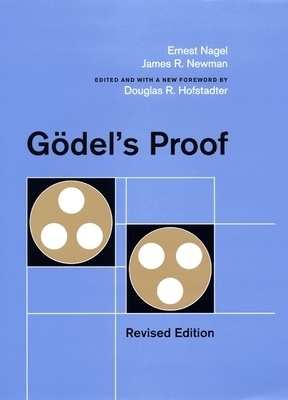 Marking the 50th anniversary of the original publication of G del's Proof, New York University Press is proud to publish this special anniversary edition of one of its bestselling and most frequently translated books. With a new introduction by Douglas R. Hofstadter, this book will appeal students, scholars, and professionals in the fields of mathematics, computer science, logic and philosophy, and science. Ernest Nagel was John Dewey Professor of Philosophy at Columbia University.